I just didn’t want this book to end! As much as I desperately wanted to know who the killer was, I felt like I could have kept on reading about these characters for ever. Poor DC Callum MacGregor, sometimes life really does rain down on you from a great height doesn’t it but he is such a fantastic character throughout this book, so well defined, and the fact he is essentially just a really decent guy radiates from the pages. The ‘Misfit Mob’ have all the markings of being more than just a standalone – or maybe they will be the launchpad for a whole new series starring DC Callum MacGregor; I hope so. Mother and her little band of rejects make for a very interesting read. I also love the parallels between these characters and earlier MacBride genius inventions. The bag of jellybabies is not lost on us. Really good book, inventive story, interesting new characters and I simply didn’t want to put it down. Synopsis: Gripping standalone thriller from the Sunday Times No. 1 bestselling author of the Logan McRae series. It was so good to catch up with Logan McRae again, it’s been too long! I wish this series would be snapped up for TV rights and it would make for great viewing. Logan’s new role in the police isn’t filling him with joy but it does seem to be giving him a bit more stability… until Steel pops up again because she’s missing him. They make a great pair though. The thing I love most about a Stuart MacBride novel is that although at time the subject matter may be silly, or gritty, or gross, the way the sentences are constructed is always intelligent. The words fly across the page because the flow is perfect; I never get bored, skim read or lose my place. Logan’s ‘relationship’ with his poor girlfriend is both depressing and uplifting as although he is essentially tied to a ghost it also shows what a truly wonderful human being he is as he lives in virtual poverty in order to support her medical care. 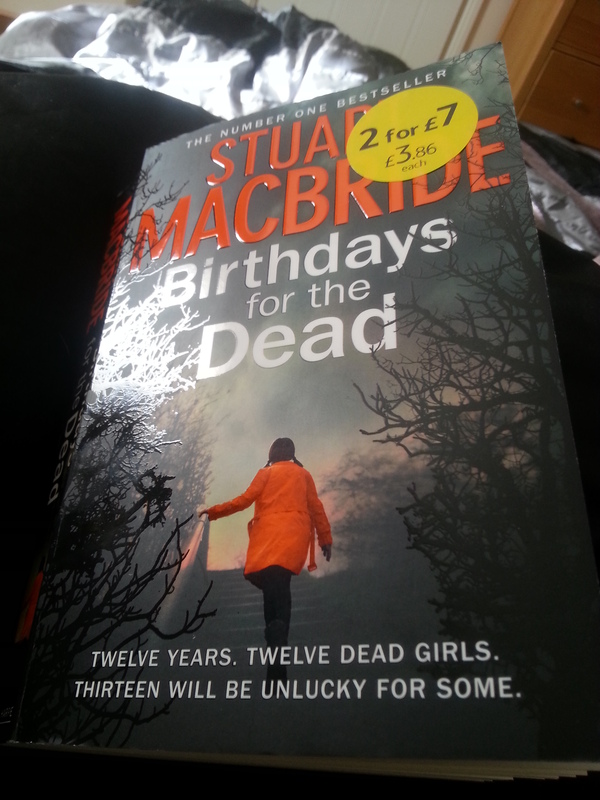 Fabulous book (aren’t they all by Mr MacBride? ), already looking forward to the next. Morag Weatherly and her two young daughters have been shot by husband Andrew, an influential politician, before he turned the gun on himself. But what would cause a rich, successful man to snap so suddenly? For Inspector Tony McLean, this apparently simple but high-profile case leads him into a world of power and privilege. And the deeper he digs, the more he realises he’s being manipulated by shadowy factions. I’ve gone and done that daft thing of reading a new author but not from the start of the series. 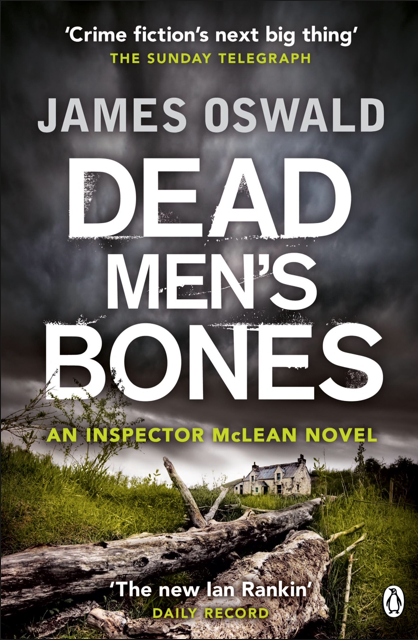 Dead Men’s Bones is actually the fourth in the Inspector McLean books; I wouldn’t ordinarily have done this but the book was given to me as a gift so it seemed churlish not to read it anyway! 1. Unless I missed it… the book doesn’t explain the cause of the burned lips. I won’t say any more as I always endeavour to avoid spoilers, however I felt this was mentioned sufficiently that it required explanation. If you read it and find the answer, do let me know! 2. Something just didn’t quite gel with all the elements of the story. Maybe it’s because I’ve thrown caution to the wind and jumped in at book 4, or maybe something just doesn’t quite gel with the story! I felt like it was almost there but not quite, things didn’t quite pull together enough and, for me, the reason for Weatherly’s actions wasn’t quite sufficient. Yes, I could see why it would cause him to take his own life rather than face the music, but not why it would necessitate the demise of his family. Other than the above, I liked the character of Tony McLean, I liked most of his colleagues, some were a little weak and some a little irrelevant but that may again be from reading the books out of order. Any tough main character who keeps a cat is always going to be a winner with me. I’m more than happy to give Oswald another chance and have ordered book 1. 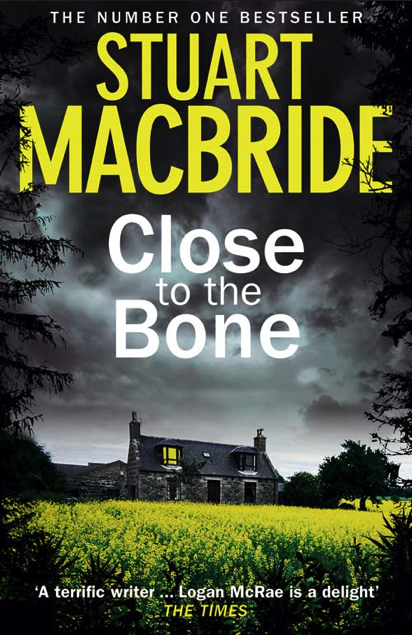 There is a blatant nod to Stuart MacBride in the book and I can’t decide if I liked it or found it cringey – I wonder what Mr MacBride himself thought to it? One final thought, shouldn’t it be Dead Mens’ Bones rather than Dead Men’s Bones? Or does that just stir up the whole Father’s Day/Fathers’ Day, Valentine’s Day/Valentines’ Day debacle? 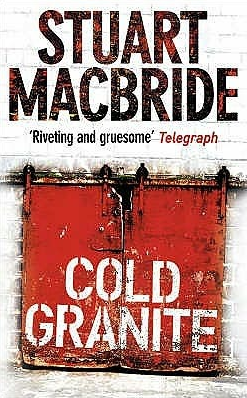 It pains me to only give this 3 stars as I adore both Mr MacBride and the Logan McRae character, but the truth is this book just isn’t up to his usual standard. Having said that, I did enjoy reading it for the simple act of ‘catching up’ with Logan; what can I say, I’ve missed him! But the book was disjointed and I felt the story wandered too much to hold my interest in the way that I’ve come to expect from this author. The whole Samantha thing – just daft. I waited with anticipation for this book and on the whole I was a bit disappointed with it.